Tyrone Phillips playing for the Penrith Panthers. The spotlight is again on the Penrith Panthers off the field with winger Tyrone Phillips charged with mid-range drink driving. Police will allege Phillips returned a breath alcohol content reading of .103 after being stopped by police in Cranebrook at 3.15am today. 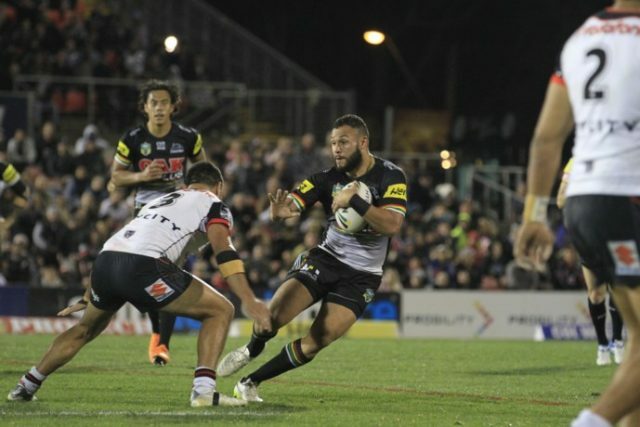 The 25-year-old played for Penrith’s Canterbury Cup side against the Dragons yesterday. “The matter has been reported to the NRL Integrity Unit,” the Panthers said in a statement issued late on Sunday. “The NRL Integrity Unit has advised the club to allow the matter to go through the court process. Phillips will face court next month.